Use WakaTime together with your Team Dashboard. 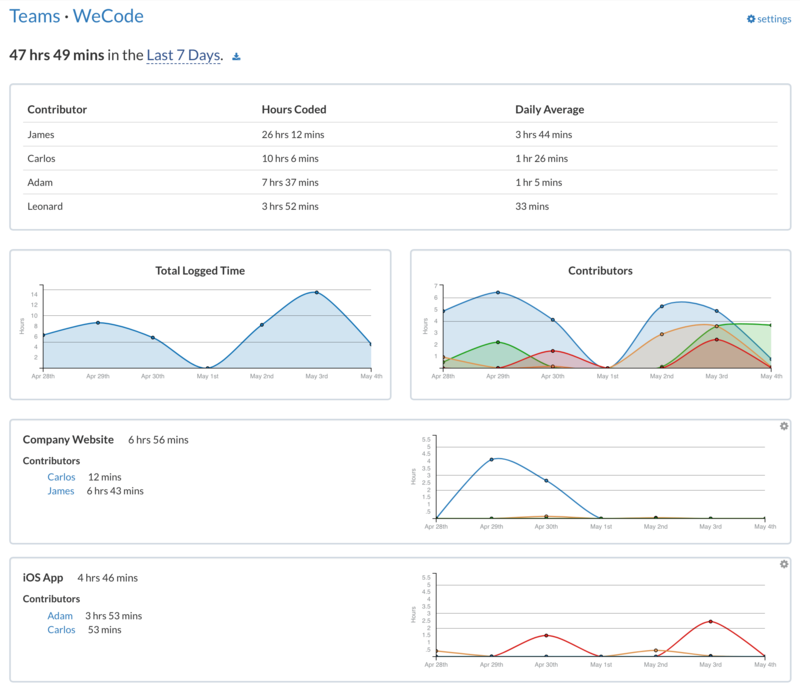 WakaTime detects your team projects automatically, and shows how long each team member coded individually on each project. Overlay your Team’s commit history to see how long your team codes per commit. Compete with your team on total coding activity, or who codes the most in a specific language.